FROM the third of February 1933, when he told his generals in secret of his ultimate ambition to invade and conquer the East, to the third of September 1939, when he left the Berlin Chancellery for the Polish front, Adolf Hitler had one obsessive goal - to wage war and achieve German revenge and hegemony. It was, as the world knows, to be a war that would leave forty million dead, lay waste most of Europe and half of Asia, and destroy the Third Reich. 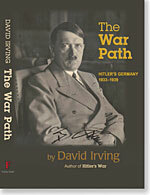 As he did in his celebrated and controversial Hitler's War, David Irving sets forth the events from behind Hitler's desk, as it were, in order to see and understand each episode through his eyes. His use of original and unpublished firsthand material has led him across Europe in search of documents and correspondence. As a result he rewards his readers with a fuller picture of both the political preparation for the war and the intricate network of personal relationships on which Hitler's Reich eventually foundered. 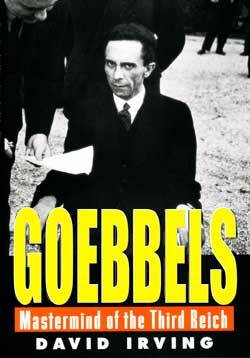 He uncovered extensive records of wiretaps made on British and French embassies in Berlin during 1938-39. And in his assiduous work as a detective he also located the private papers of Weizsäcker, Ribbentrop's state secretary, and the diaries of Walther Hewel, Ribbentrop's liaison with Hitler. 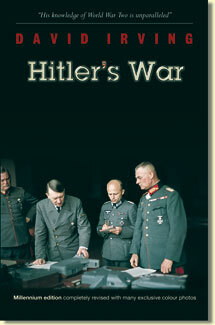 Many pages of photographs from private collections provide new views of Hitler and those who surrounded him. 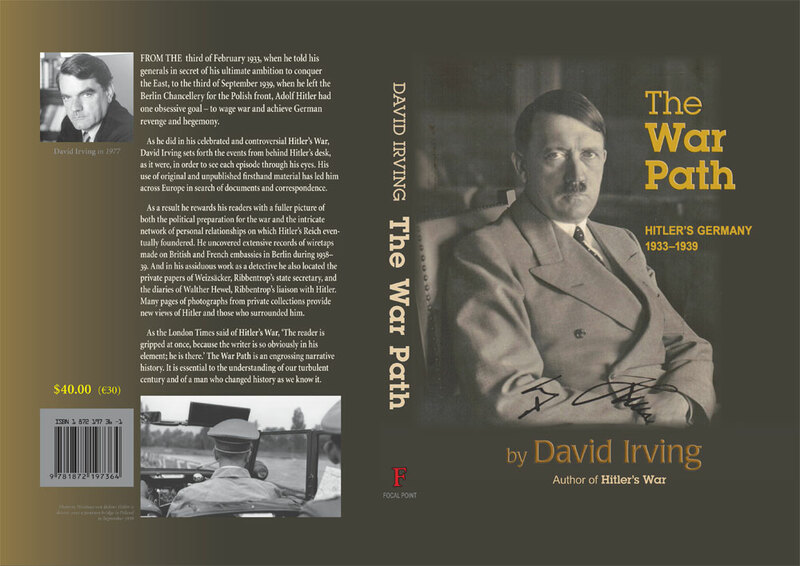 Thus, drawing from the journals and letters of Hitler's subordinates, Irving creates an atmosphere both immediate and authentic. As a result, what have previously seemed inexplicable actions on Hitler's part are illuminated and new light is shed on Nazi Germany in the six years before the war. As the London Times said of Hitler's War, "The reader is gripped at once, because the writer is so obviously in his element; he is there." The War Path is an engrossing narrative history. It is essential to the understanding of our turbulent century and of a man who changed history as we know it. 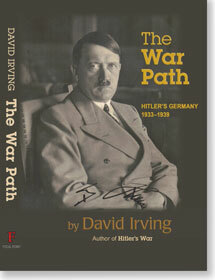 "The War Path is the prelude to the brilliant, wilful and ingenious Hitler's War. The new book covers the main events of Hitler's career from his accession to power to the British and French declarations of war six and a half years later. . . Irving has lost none of his skill in delivering the cautionary punch where he knows it will most hurt." -- Michael Ratcliffe, The Times, London. The War Path will also shortly be available in eBook format from Amazon, Kindle, and your usual suppliers.